OR SCROLL DOWN TO BOTTOM OF THIS PAGE. 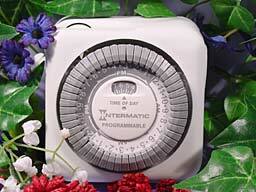 Can be used in North America with converter. This model is not for use in USA & Canada. 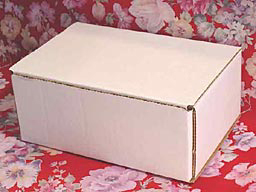 EXTRA SHIPPING CHARGES APPLY TO INTERNATIONAL ORDERS. 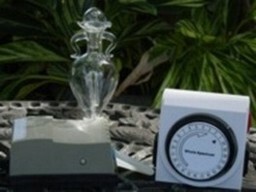 HOUSE/ROOM MODEL - TOP LOAD GLASS WITH ON/OFF SWITCH & PROGRAMMABLE TIMER. More Powerful than Rena 200. No Hi-Low Switch on this one. 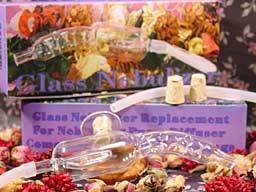 "TOP LOAD TUBELESS" GLASS NEBULIZER REPLACEMENT WITH REPLACEMENT GUARANTEE. 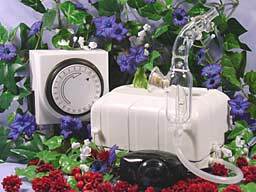 PACKING BOX FOR REGULAR NEBULIZER DIFFUSERS - 8" x 6" x 4"
HOUSE/ROOM MODEL - ON/OFF SWITCH & PROGRAMMABLE TIMER WITH TOP LOAD GLASS. $20.75 each for 20. More Powerful than Rena 200. Whole Spectrum� introduces to consumers and therapists superior quality and greater value with an amazing new series of pumps that are 3-4 times more efficient, more quiet, more versatile and more attractive than any previous models ever to utilize a glass nebulizer. We have selected from air pump manufacturers the world over the very best models based on low noise level, versatility, efficiency of diffusion and aesthetic value. All of our pumps have a microdispersion so gentle and efficient they have to be seen to be believed. Tests have shown that the Whole Spectrum� pumps diffuse essential oil at a rate of 300-400% less than our competitors� models. Not only does this mean you have a very low maintenance appliance, but this results in your saving 3 or 4 times the oil you are currently using with other models. 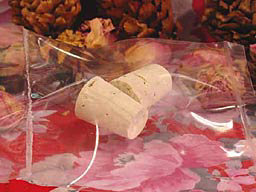 For example, each of our models will utilize no more than a 5 ml fill even if it is used all day and all night, non-stop. 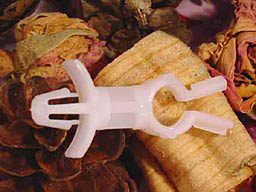 Never overuse or waste essential oil again! 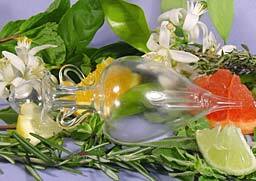 Do you think efficiency of not wasting precious and costly essential oil is our most valuable asset? How about convenience and the flexibility to program your diffuser to function only when you want it to? 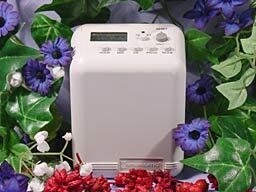 Combined with Whole Spectrum�s easy to set 15 minute increment manual clock programmable timer, you are able to set your diffuser to function when you want it to fit your daily routine, scheduling it easily for leisure or work activity. Did you know that 15 minutes every hour or two are all that you need to get the full therapeutic benefit and enjoyment from a nebulizer diffuser? With our models you can now program your diffuser to the desired saturation levels you want without having to do anything more than program the easily adjusted manual clock timer switches to any 15 minute increment combination. And that�s not all! Each of our models (house model not currently fitted) have adjusting controls to change the desired diffusion rate. An adjusting switch or knob allows you to set the pump to the desired setting that controls the saturation level in the environment where the oil is being diffused. Whether you desire a very low or very fast diffusion rate, a light or heavy saturation level, simply adjust the control to the desired output. Only Whole Spectrum� offers you this kind of versatility and value at less than half the cost of others. And that�s only the beginning of how we put value in our products to make your life more enjoyable! Do you want the convenience of being able to turn your diffuser pump on and off without having to unplug it? Of course you do! Do you want to have to pay an extra $5 or $10 to do so? Of course you don�t. One of the reasons you choose Whole Spectrum� is we have your quality of life values at heart and not at your wallet. 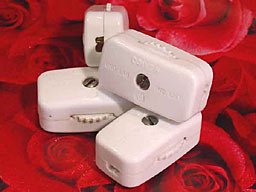 Your on/off switch doesn�t cost extra! Our Room and Professional Models have an on/off switch, so you never have to reach down and find the outlet to unplug it, just turn the conveniently accessible switch.